This article originally appeared on CultureMap. In 1973, ZZ Top released a song called "Jesus Just Left Chicago." The Texas rockers had Jesus departing the Windy City, headed to New Orleans. Hey, they didn't have GPS on smart phones yet. But what if Jesus stopped in Houston on his long and winding road o the Crescent City, and hung out at Sam Houston Race Park, and became the greatest racetrack tout since that famous oddsmaker Plato the Greek? And, what if Jesus got involved with shady, colorful characters wrapped up in the dark world of gambling, poker, and Mafia mayhem? That's the premise of Fred Faour's new novel, also called Jesus Just Left Chicago. It's a wild ride, that's for sure, with an ending that may have you thinking Faour's mind is a spooky place. It's a an ingenious tale with twists and turns and a few parts that will have you holding onto your woobie for dear life. The book's official launch is a couple of weeks away, but Jesus Just Left Chicago is available now in paperback on Amazon and the audio book can be purchased at Gow Media Publishing. 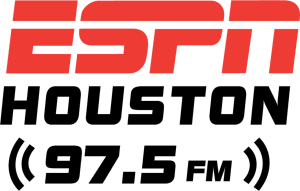 I caught up with Faour – from a safe distance – and put 10 Questions to the SportsMap editor and co-host of ESPN 97.5 FM's popular "The Blitz." Ken Hoffman: I've never heard of someone writing a book and naming it after a popular song. What captivated you about that song? Did you have to ask ZZ Top for permission to use the title? Fred Faour: I have always thought writing had a pace and a cadence to it, like a song. There are music references throughout the novel. I thought it was a nice homage to a band I grew up with. I did not get permission because it is a different medium. I would hope they would appreciate it and maybe sell a few more songs because of it. KH: You originally wrote this book more than 20 years, and picked it up in "fits and starts" before now. Most writers are taught, if it's not working, let it go. How come you never gave up on it? FF: After I had the original deal fall through, I did drop it for a while. But I always believed it was a good story and it was always going to get written - if I didn't die first. KH: Writers change, as people and authors, over the course of 20 years. How much rewriting did you have to do along those fits and starts? FF: I changed the timeframe, and it made for a much better novel. I also cut out about half of it that had more details on some of the less interesting characters. If I found them boring, I assumed the reader would, so I just chose to focus on just a few. Having more experience in life and as a writer and having more influences really made a difference. KH: Jesus Just Left Chicago deals with "gambling, the mafia, mysticism, and mythology." Is this a novel, or did you just publish your diary? FF: There are some elements of myself and people I have known in every character. I think that is common in fiction. Some people who have read it think Louis is me but I am not that emotional or angsty. Yes, there are things from my life I incorporated, but I did it in hopes of making it authentic and feel more real. KH: You're a sporting kind of fella. You've written a book called Acing Racing, a guide to betting on horses. What is it about gambling that fascinates you? FF: It's like a puzzle to me. I love all the psychological aspects of poker in particular. Handicapping horse racing is like solving a puzzle. Those things have always appealed to me. Both are creative outlets, like writing or radio. KH: Jesus Just Left Chicago is available as an audio book, with some of your ESPN 97.5 FM buddies doing the voices. Was it weird hearing your written words put to the spoken word? FF: I got goosebumps the first time I listened. To hear such talented people take my work and interpret it was a special moment for me. Jermaine Every really embraced Louis, Holly Seymour did an amazing Mary, and John Granato is simply out of this world as Michael. It was cool to involve my son as well. And Cody Stoots did a masterful job producing it. KH: How did you come up with the idea of Jesus as a track tout? You have said that this book was written in a "haze of alcohol and weed." Seriously? Race 4: The Count Fleet features one of the best sprinters in America in No. 4 Whitmore. But we like No. 1 Mitole to pull a mild upset. Straight exacta 1-4. Race 9: The Oaklawn Handicap. Rain is expected and it should be a sloppy track. If so, we will bet No. 3 Chris and Dave across the board. If the track is fast, we will pass. Race 11: Arkansas Derby. This one should come down to four horses to win the race - No. 1 Improbable, No. 3 Omaha Beach, No. 8 Country House an No. 11 Long Range Toddy (terrible name by the way). We will play the trifecta with 1-3-8-11 on top with 1-2-3-5-6-8-11 with 1-2-3-5-6-8-11. I like this play on a fast or wt track and you can play it for .50 if you don't want to spend more than $60. Race 9: The Lexington Stakes. I like No. 3 Sueno off an OK third in the Louisiana Derby. If he returns a stalking trip, I like his chances a lot. Will play across the board and wheel first and second in exactas with the 1-2-4-5-6-9-10. I will also double dip and take long shot Senden, who hung in there against probable Derby favorite Tacitus in his last start. So bet the 9 across and go 9 with 1-2-3-4-5-6-10 and 1-2-3-4-5-6-10 with 9. I will also hit the 3-9 box a couple extra times. CANELO ALVAREZ might pack a...punch at first asking?